In our last post, we talked about the significance of the Institute for Supply Management's (ISM) Annual Conference. This one-of-a-kind event is a key milestone in the calendar of every procurement professional, marking another year of progress for the Supply Management function as a true value-adding partner in the business. At ISM’s 2016 annual conference (ISM2016), Source One’s presence is immense. This year, ISM2016 is being held in Indianapolis May 15-18, just weeks ahead of the famous Indy 500. Source One’s cost reduction and category management experts will be found all over the ISM2016 conference venue – in the exhibition hall, leading several educational sessions, receiving AND giving out industry awards and recognition (ThomasNet & ISM’s 30 under 30; the Richter Scholarship) and most prominently, as the one and only sponsor and services firm for the exclusive, invitation-only, highly elite sub conference known as Exec IN (which you may know as the CSSL). In the prestigious Exec IN conference, a select group of CPOs, VPs, and Directors of highly successful and prominent companies ($1.5B+ annual revenue) will gather together for exclusive panels and workshops, and also enjoy breakout sessions with the ISM Conference’s keynote speakers Alan Mulally (former Ford CEO) and Susan Cain (Best-Selling Author)). 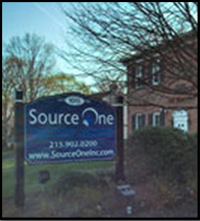 Source One’s senior leadership has the honor of sponsoring this highly acclaimed group of procurement and sourcing innovators. The entire Source One team of sourcing professionals, procurement staffing and transformation experts, and category leads is highly anticipating the conference with its “Countdown to ISM2016 Podcast Series,” featuring not only the Source One team’s insights on best practices within all the ISM Learning Tracks but also commentary from industry heavyweights and ISM Conference Leaders such as MRA Global Sourcing, Zimmer Biomet, and QBE. ISM2016 is truly an event not to be missed, and time is running out to register! Contact Source One’s ISM Team to find out how you can save on your registration costs.